TYOGA COUNTY Motor Club welcomes all makes models and age cars. 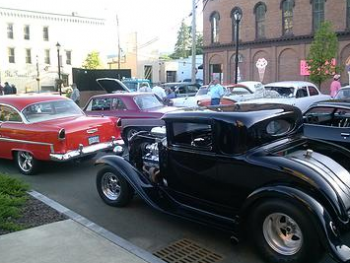 Anyone can attend our CRUISE NIGHTS and EVENTS on the Shows Page. Enjoy the drive and come out for some Cruising and Fun. Hot Rods, Street Rods, Motorcycles, Tuners, Specialty Vehicles. If you enjoy your vehicle, chances others will as well. Cruise Nights: Thursdays 6-9 at First Citizens Bank Wellsbooro 1 Pearl St. & Route 6 (East Ave) from April 17th to October 16th.